Too much exposure from Instagram and its fabricated ‘summer body’ posts makes people think that 100 lbs. is fat. It creates a growing culture of insecurity, where a girl with a slightly sagging belly and double chin is deemed not beautiful just because her body is not ‘flaunt-worthy’ on social media. But a few people really experienced life-changing weight loss. Their sacrificial slim down are far from those shallow gym selfies and wet look, work out photos. 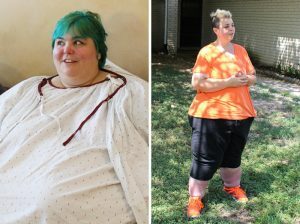 These were the people featured on TLC’s ‘My 600 lb. Life.’ If you are a follower of the TV series or watched just a single episode, you will never look at weight loss the same way again. These former morbidly obese individuals not merely want to get likes on Facebook and show off on the beach. They wanted to get their life back from the consequences of taking health to their advantage. 1. Charity Pierce – From 800 lbs. to 300 lbs. Charity once held a world record as the heaviest woman alive. 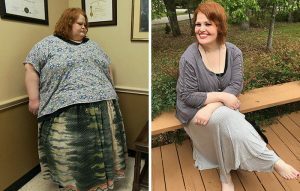 She ended up happier after losing 400 lbs. 2. 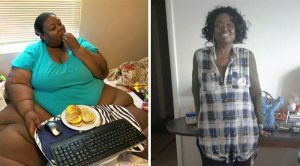 Marla Mccants – From 800 lbs. to 300 lbs. 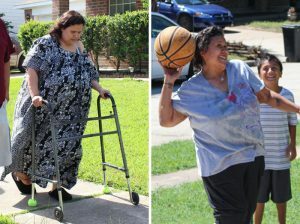 Marla wasn’t able to walk before overcoming obesity. 3. 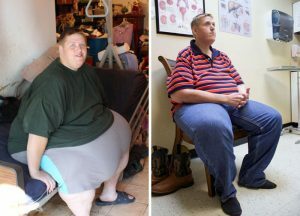 Joe Wexler – From 792 lbs. to 374 lbs. Joe married a woman he met in an online weight loss support group after shedding almost 290 lbs. 4. Henry Foots – From 750 lbs. to 250 lbs. Henry lost an amazing 500 lbs during the show! 5. 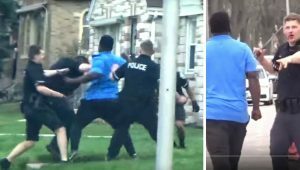 James Jones – From 728 lbs. to 352 lbs. 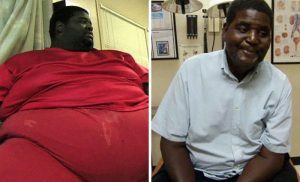 James grew his business and starred in a reality TV show after losing 525 lbs. 6. 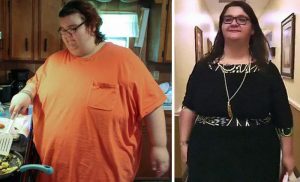 Ashley Dunn-Bratcher – From 725 lbs. to 470 lbs. Ashley used to rely on her 5-year-old son for her daily activities. 7. 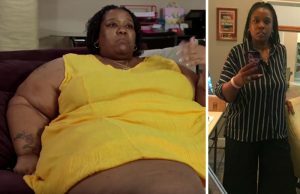 Christina Phillips – From 708lbs. to 183 lbs. Christina suffered from emotional problems with obesity. 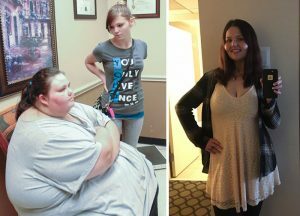 Since losing weight, she is continually seeing a therapist. 8. 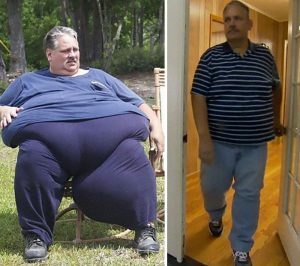 Chuck Turner – From 693 lbs. to 433 lbs. Chuck lost two wives, custody of his son and numerous jobs to the effects of obesity. 9. 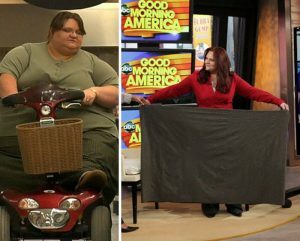 Pauline Potter – From 678 lbs. to 378 lbs. Pauline was once the world’s heaviest woman and suffered from depression. 10. 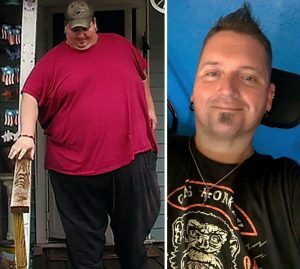 Donald Shelton – From 675 lbs. to 295 lbs. Donald used to be on a wheelchair for obesity. Ashley and her husband had problems with intimacy until she lost weight. 12. 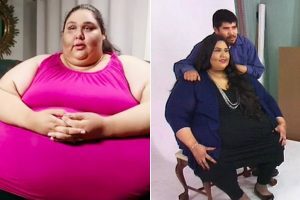 Amber Rachdi – From 660 lbs. to 236 lbs. Amber used to live with self-hate. 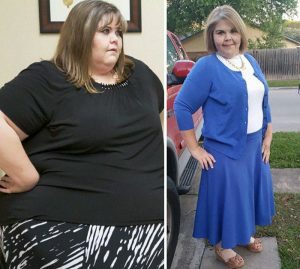 After losing almost 400 lbs, she now posts selfies on social media to boost her confidence. 13. Another stunning transformation photo from Amber..
14. Bettie Jo Elmore – From 654 lbs. to 200 lbs. 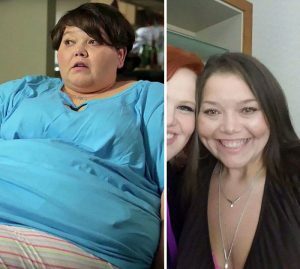 Bettie became pregnant after losing 200 lbs. and kept the baby until she continued to slim down. 15. 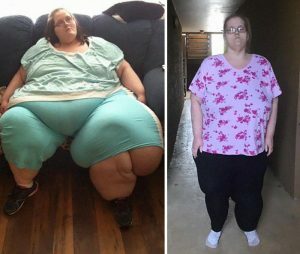 Melissa Morris – 653 lbs. to 178 lbs. Melissa used to be desperate to have kids. At present, she is a mother of two. 16. 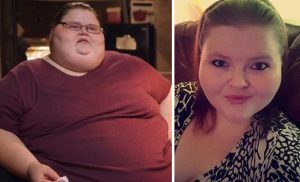 Nikki Webster – From 649 lbs. to 236 lbs. Nikki was afraid of the gastric bypass surgery at first since her best friend Michael died from it. 17. 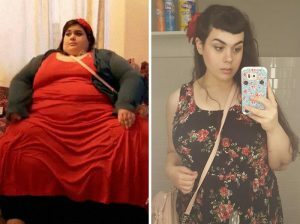 Britanni Fulfer – From 605 lbs. to 400 lbs. Britanni used to forbid her husband from seeing her naked. Now, the couple are looking forward to have children. 18. 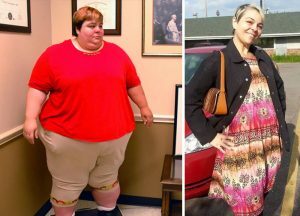 June McCamey – From 600 lbs. to 370 lbs. June used to eat fast food meals everyday. 19. 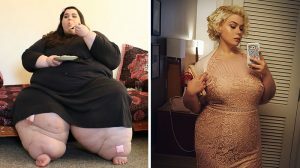 Zsalynn Whitworth – From 600 lbs. to 300 lbs. Zsalynn struggled with loose skin so she had to reach 300 lbs. to get it removed. 20. 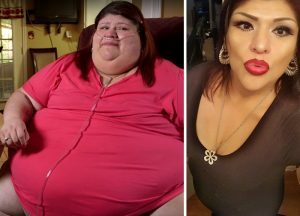 Olivia Cruz – From 580 lbs. to 200 lbs. Olivia tried to commit suicide before. 21. 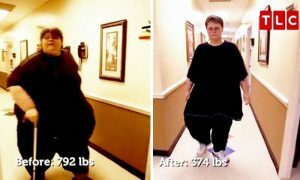 Chay Guillroy – From 579 lbs. to 378 lbs. 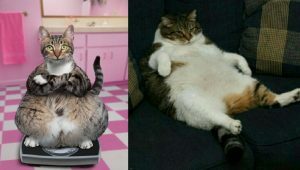 Chay, now ‘Lola’ after being a transgender realized her identity crisis was the source of her excessive food intake. 22. 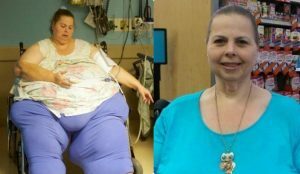 Paula Jones – From 553 lbs. to 269 lbs. Paula was afraid to die of obesity in the past. 23. Another photo from Paula..
24. 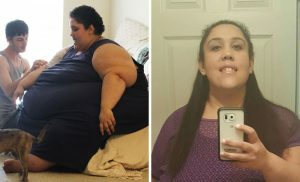 Laura Perez – From 452 lbs. to 380 lbs. Laura needed her husband to feed, bathe and take care of her before. I think they have all done wonderful in their weight loss journey …..Awesome job folks.. I ADMIRE THE DETERMINATION THESE PEOPLE WENT THROUGH TO MAKE CHANGES IN THEIR BODIES & LIVES. I ENCOURAGE THEM TO CONTINUE WITH THEIR TRANSFORMATION. HAVE FAITH IN SPIRIT OF GOD THAT’LL GIVE THEM THE COURAGE TO KEEP ON KEEPING ON. MY PRAYERS ARE WITH YOU ALL. MAY GOD BLESS YOU ALL.